Why do I still see such popups? I use uBlock instead and see no popups. in chromium I use ublock origin and ublock origin extra. 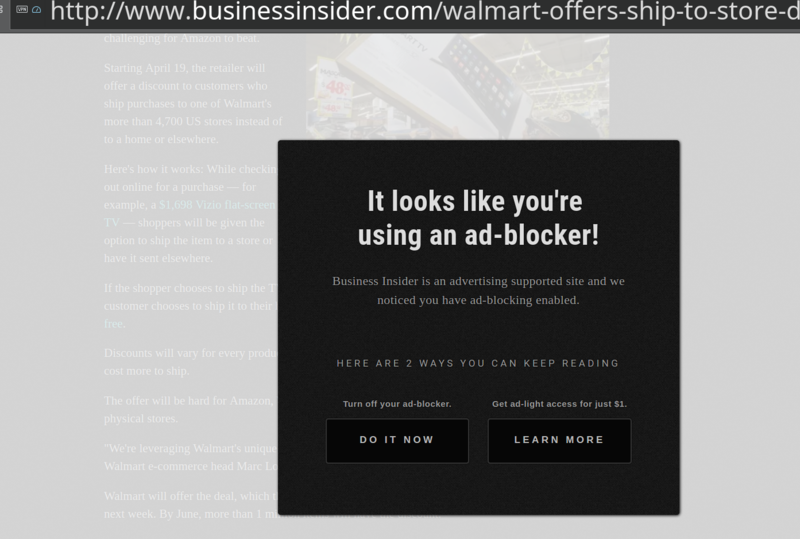 The extra extension deals with sites that try to subvert privacy or blocking. Seems to work with that article linked to above. thank you for your comment. On Firefox, I use uBlock Origin. But I thought using an adblock extension with Opera when Opera already has a built-in adblocker would slow down my websurfing. Anyway, within Opera's built-in adblocker, I subscribed to https://raw.githubusercontent.com/reek/anti-adblock-killer/master/anti-adblock-killer-filters.txt and the "Please disable adblocker" wall is now gone.